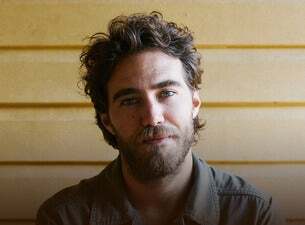 Having completed his sold out UK and European headline tour, Matt Corby today releases his new video for single ‘Miracle Love’ lifted from his acclaimed album, Rainbow Valley. The live video for ‘Miracle Love’ is a one take live video, shot and recorded during sound check at the Manchester Cathedral earlier this month. Matt recently took his fans behind the making of the Rainbow Valley album with the premiere of the Rainbow Valley Documentary on YouTube. Matt talked through the writing and recording process, the inspiration behind the album cover and the experience of the album coming together in an eleven minute behind the scenes video looking into his life and processes. Performing all instruments and vocals on the triple j featured album Rainbow Valley, Corby has created a lush, multi-textured album sparked by hints of both old soul and futuristic psychedelia. Working with old friend and long-time collaborator Alex Henriksson, who is co-writer of two songs on the record, Corby retired to the idyllic surroundings of Byron Bay’s Music Farm studios with Telluric producer Dann Hume and engineer Matthew Neighbour.